Regular visits to the physician are a key ingredient to maintaining good health. Let’s face it: a lot of us delay visiting the physician’s office. It may be uncomfortable and downright distressing when something is wrong and we’re facing the chance of an undesirable diagnosis. All the same we all know it makes sense to do what is best for our overall health and also to be conscientious about getting necessary health care. 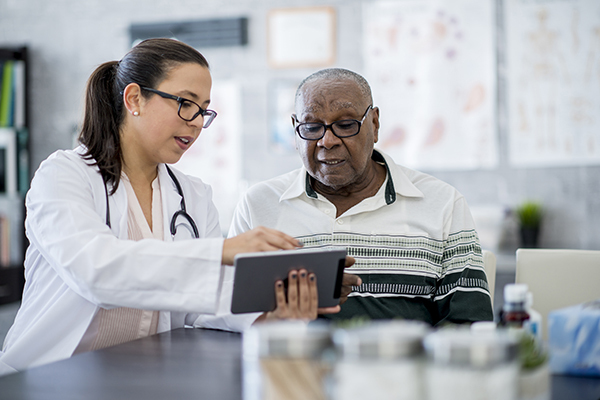 For older adults, a range of other considerations come into play as well, oftentimes contributing to the choice to skip that check-up or follow-up appointment, even if it’s clearly not in their very best interest. When an older adult digs in her heels, refusing to visit the doctor, it is helpful to first understand why the push back is happening, to handle those concerns, and be able to know how best to offer support. One of the main reasons seniors avoid medical appointments and procedures is fear. It may seem better and easier just to disregard symptoms and hope they’ll fix themselves. For other people, the worry could be financial. Or they may want to prevent the embarrassment of being reminded of a weight problem, or to admit to living an unhealthy lifestyle. Whatever the cause, the bottom line is that it’s vital for senior loved ones to look after their own health, which requires routine medical examinations and remaining proactive in bringing to light any concerns. So as an adult child, how might you best help alleviate your parent’s oppositions to seeing the physician? You may be pleasantly surprised at how readily your aging parent will agree, realizing that it will also help you. If you continue to struggle with helping your family member understand the need for appropriate medical care, call on Midnight Sun Home Care. We’re experienced in assisting families with getting through the often difficult transition to accept assistance at home, and quite often the recommendation of a knowledgeable, objective third party will make a world of difference in reducing concerns and moving the focus to the many benefits of personal care assistance in Anchorage. Contact us now at (907) 677-7890.